I first encountered Jim’s work through a guest post from Mr Money Mustache. He has a very unique way of storytelling in the personal finance world and from that point on he’s been in my RSS feed every week. If you haven’t heard of him up to this point, his Stock Series is mandatory readying for anyone who is interested in investing. 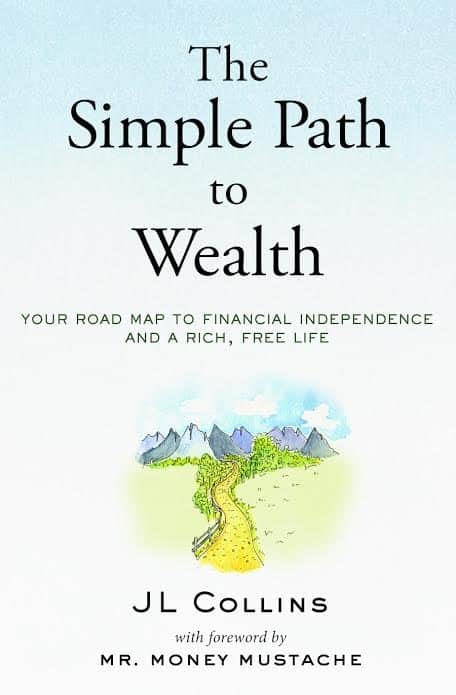 I had the honor and privilege of meeting Jim Collins in Ecuador at Above the Cloud Retreats and I am happy to see that he has finally published his very first book, The Simple Path to Wealth. If you are new to the world of saving and investing, it can be absolutely overwhelming. What is this P/E thingy? HSA? IRA? 401k? 403b? Are you just making things up at this point? What the hell is the Trinity Study? Jim teaches a methodology that I follow myself, which is to keep things simple and on autopilot. Why spend what little willpower we have to focus on this kind of thing, when you can “set and forget” by loading everything into an index fund like VTSAX. If that still sounds a little confusing don’t worry! Jim breaks down savings and the stock market so anyone can understand and break through the fear mongering the always hovers around this circle of knowledge. If I were to give this book any kind of criticism, it would only be that some of the content of this book is duplicated from some of his work on the site and his guest posts around the web. However this is only a small percentage of the material and was absolutely worth replicating in full for the novel due to the quality of the content in my opinion. You can buy his book here on Amazon in paperback and here for the Kindle version. I will check with the author as well to see if it will be coming out to iBooks as well.